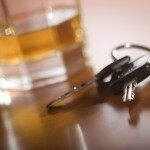 DUI laws have changed substantially over the years. 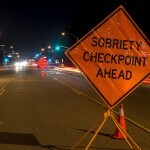 In fact, lawmakers are always tinkering with DWI laws, which is one reason why you must be represented by an experienced Orange County DUI attorney if you’re charged with the crime in southern California. Originally, you were charged with DUI for one simple reason – because you were too drunk to drive. “Per se” DWI laws changed all that when they were adopted by the states two to three decades ago. DUI laws are complicated these days, so if you‘re arrested and charged, don’t try to act as your own lawyer. Instead, retain an attorney who works exclusively with DWI defendants. Around 1980, prosecutors and lobbying groups like Mothers Against Drunk Driving (MADD) began lobbying for a more effective way to prevent drunk driving accidents. It became against the law to drive with a blood alcohol content (BAC) level of 0.10 percent or higher – whether or not you were actually too intoxicated to drive safely. The American Medical Association had produced research showing that drivers are only impaired when the BAC level reaches 0.15 percent, but the science went unheeded in the rush to reduce injuries and fatalities. Prosecutors and lobbyists then agitated for a lower BAC legal limit: 0.08 percent. Thus today, it doesn’t matter if you’re driving safely or dangerously; all that matters in the quantity of alcohol in your blood. The California Supreme Court has even ruled that in some cases, breathalyzer results cannot be challenged by defense attorneys. DWI – once a commonsense law that protected everyone and was easy to understand – now governs all kinds of acts that have nothing to do with driving at all. People sleeping in parked cars have been charged with DUI along with people riding horses, lawnmowers, and even pedestrians using wheelchairs. 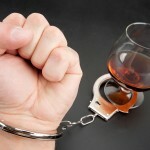 If you face a DWI charge in southern California, you should understand that the penalties can be harsh and the consequences can last for years if you’re convicted, so you’ll need to contact an experienced Orange County DWI attorney as quickly as possible.